The video game landscape is covered in competitive gaming. Shacknews would like to offer an overview of what to watch for this coming weekend. This Memorial Day weekend, Combo Breaker has arrived in Chicago! For this weekend, Dota 2 goes to the United Kingdom and Chicago's biggest fighting game tournament of the year begins. While there's seemingly a fighting game tournament every week, there are only a handful of truly A-tier premiere tournaments. Combo Breaker has become one of those tournaments. Street Fighter V's top players are set to converge in Chicago to try and get a leg up on the Capcom Pro Tour standings. That includes CPT points leader Hajime "Tokido" Taniguchi and the two men who trail him, Seonwoo "Infiltration" Lee and Du "NuckleDu" Dang. But there's someone else that everyone needs to watch out for and that's Keita "Fuudo" Ai. He proved at Stunfest last weekend that nobody needs to be overlooking him, as he dispatched both Daigo Umehara and Infiltration to take that tournament handily. Over 600 entrants are ready to do battle in what's sure to be one of the most intense Combo Breaker tournaments yet. Elsewhere, Tekken's top players are also getting ready to go at it. While over 400 entrants are prepared, is anyone truly ready for Hyunjin "JDCR" Kim and Jae Min "Knee" Bae? Only five points separate them at the top of the Tekken World Tour standings, thanks mainly to Knee's victory at last week's Battle Arena Melbourne. Nobody else is really close to catching these two in the standings. Jinwoo "SAINT" Choi is in a distant third, but he'll look to close ground this weekend, looking to get a measure of revenge on Knee for his Grand Finals loss at last week's BAM event. But the main event for the weekend is Dragon Ball FighterZ. It's drawn in the most entrants by far, once again drawing in the best players across all major fighting game scenes, including Street Fighter, Marvel, NetherRealm, the anime fighters, and Smash Bros. All eyes will be on Goichi "Go1" Kishida, who enters as the undisputed best player in the world. He has yet to lose since dropping a set to Dogura and the game's recent balance patch hasn't stopped his momentum at all, as he simply made the switch to Adult Gohan and has gone on his merry way, continuing to slaughter all who oppose him. It's hard to say whether anyone can topple the Goichi machine, but Dominique "SonicFox" McLean and William "Leffen" Hjelte seem poised to try. The march to The International continues, as another Dota Pro Circuit major has kicked off. 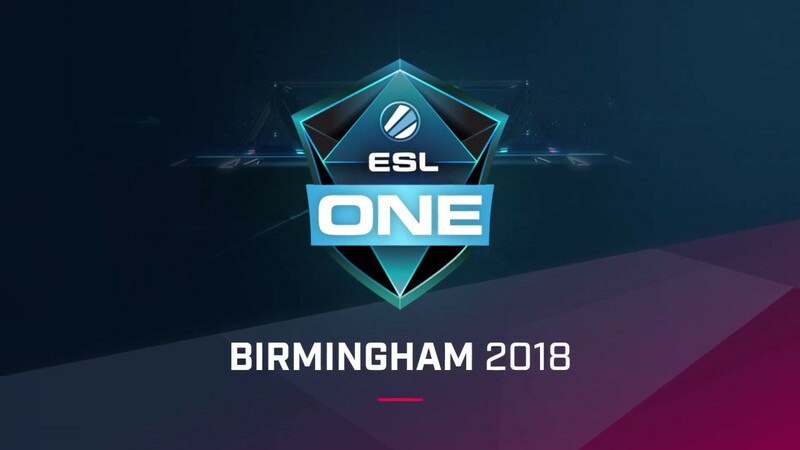 This time, it's Birmingham hosting the first ever Dota major in the United Kingdom. Those looking to catch some of the top North American talent won't have many options this time around. Looking for defending International champions Evil Geniuses? Yeah... about that... Team Liquid has already been sent home, following two losses to South American team paiN Gaming. But what about Evil Geniuses? The perennial International favorites were actually the first team sent home at this weekend's tournament, losing to Fnatic and a best-of-3 against Team Secret. The last North American team standing is OpTic Gaming. This has already proven to be a crazy tournament, so OpTic standing tall at the end wouldn't be the weirdest thing in the world. But it's clear that the European teams are playing at a high level right now. Virtus.pro, in particular, are playing some lights out Dota right now and seem to be the clear team to beat.